I recently attended a very interesting and informative CV writing workshop delivered through the University Futures team. After gaining a lot of valuable information and coming to the conclusion that what I currently had was rather beige, I thought I would share with you all what I learned so you can create an effective CV. Whether you are a first or second-year student wanting to construct a generic CV to help you gain employment - or a final year rapidly approaching graduation and looking to find your way into a graduate role - it's important to have an effective CV to ensure you make the best first impression. 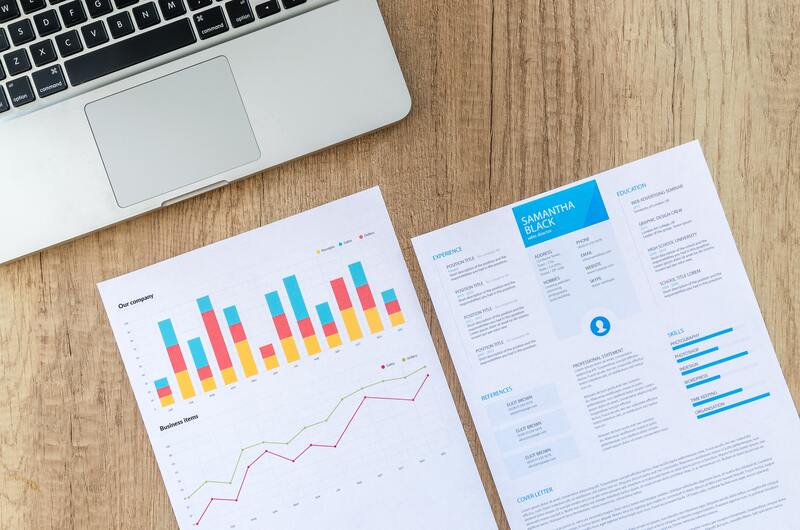 Your CV can be considered the paper equivalent of an ‘elevator pitch’, in which you have just under two pages to highlight your major achievements, experience, and skills. What I found the most interesting about the session I attended was that in general, we really do under-represent our achievements on paper. We take for granted key character building experiences we've had in the past and instead list everything we can think of and while this is all well and good, to a prospective employer it is worthless unless you’ve actually explained how this has increased your skills. I have a pretty extensive range of jobs listed from being 16 years old (I’m 31 now) and it's safe to say my master CV is about as long as a giraffes neck and as a result, it has often been difficult selecting the jobs that seem appropriate for the role I’ve been trying to attain at the time, and so I’ve ended up listing everything. Sidenote, this is a bad idea! Having a master CV that lists EVERYTHING is a good idea to use for reference, but it should only be used when you're curating the current CV you're working on to cherry pick the jobs that apply at the time. I know from past experience when applying for lab technician roles to support my studies; my education and experience hadn’t really shone through – why? Because my current studies were at the end of my CV! This might seem obvious now, but not to a lot of people. A recruiter will generally select a CV based on what they see within the first half a page of your CV content - so make it meaningful! I tried this myself recently after attending the CV workshop and within a day I had three science recruitment agencies asking me to make contact with them – so it works! If you have ANY skills that you have developed as a result of work list them, no matter how irrelevant you may think they are. You might think, “Well…I worked for a few years as a self-employed DJ, but I don’t think it’s relevant” wrong! Working self-employed shows your entrepreneurial potential. The fact you can manage the fiscal responsibilities of running a business and being HMRC compliant is a skill – especially if you are wanting to go into a managerial role where you are required to manage finances. Do you see where I’m coming from? Your CV is how you market, brand and package yourself to recruiters. I know being British we often have this modest quality about us, but trust me – your CV is not the place for modesty. Your CV is a place for honesty and self-recognition – This is how you will stand out amongst a million other potential candidates gunning for the same role. So never miss an opportunity to market yourself. If you're interested in improving your CV, why not check out the University of Sunderland careers service who can offer you excellent workshops and one to one sessions about CV writing?